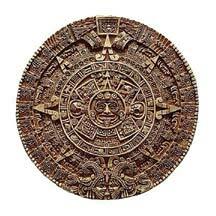 As 2009 is rapidly passing, I have been approached by many friends asking, “What do you think of all of this 2012 non-sense?” I had to admit I hadn’t given it much thought except for the attention to the Mayan Long Calendar I had studied years ago (many years ago) in college. Needless to say, soon after these conversations, everything that crossed my desk had “2012” somewhere in the title or the summary. I started to research what is behind this 2012 phenomenon, which is building steam even as this article is being written. What began as a study of the year 2012 quickly turned into a study of cycles. What many have come to believe throughout the generations as the apocalyptic end of our age as defined in the Mayan culture and calendars is actually a stunning convergence of cycles. Cycles impact our everyday life. Many of which are so in-grained in our daily routines we do not even think about them. The definitions of these cycles and the impact of their convergence on the times in which we live are the focus of this series. Most of us have been taught to think linearly, as in the use of historical time lines, to explain where mankind has been in history, where we are now, and where we are headed in the future. The challenge of this study is to begin to think cyclically; life as a grouping of cycles and patterns. The Latin word for “order” is ordo (order): conformity to law. The Latin word for “pattern” is pater (patron, father): an arrangement or composition that suggests or reveals a design; a configuration; formal or regular arrangement. The Greek word for “rhythm” is rhythmos (measured motion): movement marked by reasonably regular recurrence, or reasonably regularity of alternation. Topical cycles currently being studied by this Institute include: astronomy, biology, chemistry, climate, harmonics, geology, history, wave structure of matter, social trends, lunar, solar, war, commodities, currencies, economics, markets, stock trading, astrology, and religion, just to name a few. Interestingly, this Institute’s study of cycles, although secular in nature, fully supports the intelligent design of God’s plan. These cycles are often taught as circles within circles, the innermost circle representing the smallest unit of a cycle. For instance, the inner circle could represent days. When seven days are reached, a cycle of weeks is started in the next larger circle. 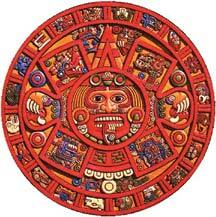 When four weeks are reached, a cycle of months is started in the next larger circle, and so forth. Bill Cloud presented the concept of a cycle in his presentation “Light in a Dark Place.” In Hebrew, the letter Samekh is written in cursive as a circle, “o.” Interestingly, this letter means “to support” and has a numeric value of 60. Time is represented by the hands of a clock going in a circle—60 seconds to make a minute; 60 minutes to make an hour. Time does not march in a straight line; it is represented by increasing measurements of repeating cycles. Scripturally, the “end” has been foretold from the beginning—another cycle. This is a foundational concept to under-stand, as it relates to the natural cycles of our lives and the universal cycles God placed in the observable heavens. Prior to the written Scriptures, the story of man’s redemption was placed in the stars in what the Hebrews came to call the Mazzaroth—the original understanding of the constella-tions in the sky. Canst thou bind the sweet influences of Pleiades, or loose the bands of Orion? Canst though bring forth Mazzaroth in his season? Or canst thou guide Arcturus with his sons? Knowest thou the ordinances of heaven? Canst thou set the dominion thereof in the earth? 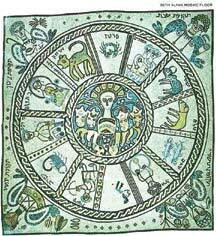 Although scholars vary in some of the particulars, the general understanding of the original zodiac defines the chronicle of redemption as: Ancient Civilizations Interpret the Constellations. 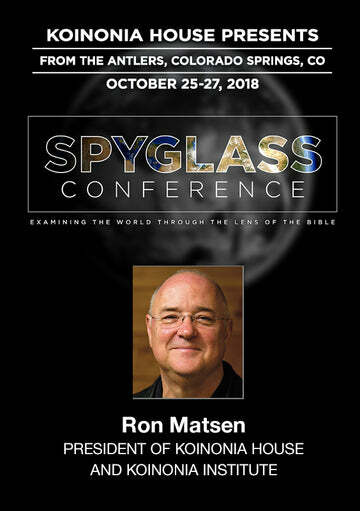 This incredible prophecy was, however, corrupted in Babylon with a “different zodiac.” When the tower of Babel was destroyed, the people scattered, and the language confounded—a form of the corrupted story traveled with them. In addition to changing the definition of the stars, some ancient civilizations have been considered expert in tracking the movement of the constellations in relation to the earth and the cycles of time. Archaeological finds have found similar zodiacs and stories of former and future world cycles in the Hopi Indian Tribe of North America; the Hindu traditions of ancient India; the Mayan civilizations of Mexico, Guatemala, and Belize; the Aztec civilization of central Mexico; and the Inca civilization of Peru, among others. With the advent of 20th-century science, proponents of the intelligence of these ancient societies endorsed the meanings of their calendars and prophecies. Characteristics in common among these include the tracking of an approximate 26,000-year cycle for the “precession of the equinoxes” (the time it takes for the earth to journey through the 12 constellations) and a smaller “world age” cycle of 5,125 years. The one eye-catching similarity in their stories, their zodiacs, and the end of their current “world cycle” is the year 2012. However, unlike the popular press of the anticipated apocalyptic end of time, it is actually interpreted as simply the end of the current cycle, which means it is also the beginning of a new one. Even traditional scholars, extrapolating from the cycles of human history, have reasoned that the coming years will be extraordinary. Next month in Part 2 we will look at the cyclic peaks anticipated in 2012, from the studies of the Cycles Research Institute, and other trends that are heading for a convergence. September 2009 Personal Update News Journal.